Detects any serious hit impact and alarm players and coaches. All impact data are synced to the smartphone and AWS cloud. Our target is to ship our products for 2017 football season! Our SJPAL establishes concussion policy. We have produced the first batch of our product. See how it comes together. We successfully completed our Kickstarter campaign, and are shipping our initial batch of products. Further purchase will be available soon at the product section. 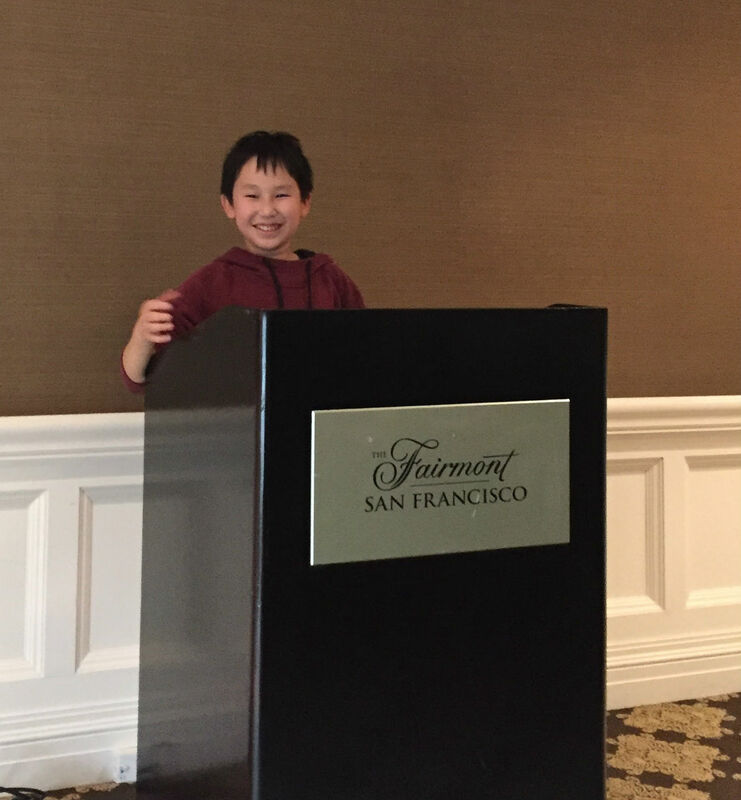 March 1, 2019 -- We were selected as semifinalists in the Junior Science and Humanities Symposium (JSHS), Northern California, 2019. 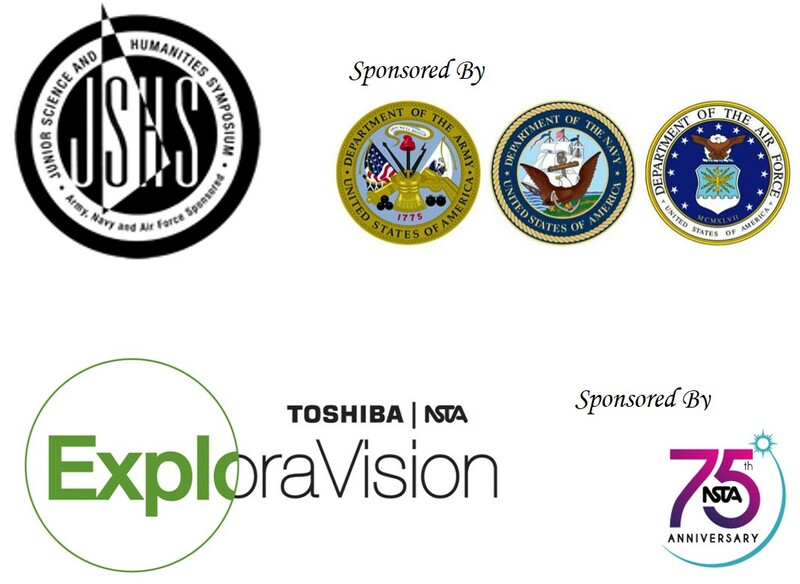 We also received the Honorable Mention Winner at the Toshiba/NSTA ExploraVision Competition, 2018-2019. 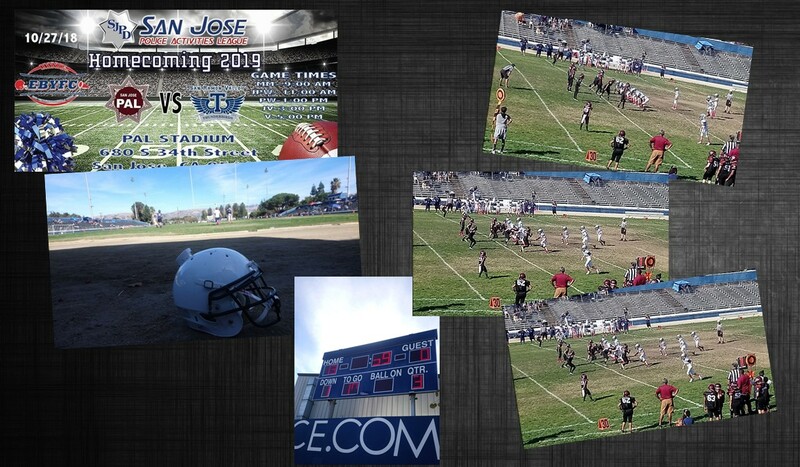 October 28, 2018 -- We are hosting the final homecoming game for the West San Jose Youth Football Team at SJPAL Stadium. Thanks to the support from families and the community, it has been a wonderful season. This is the first year we had concussion policy and training at SJPAL. We will review the data during the off-season and hope to optimize for next season. 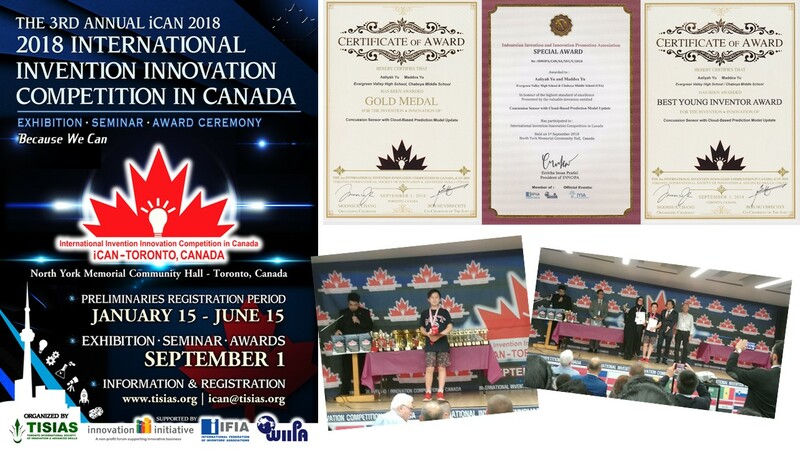 Sep 1, 2018 -- We won 3 major awards at 2018 International Invention Innovation Competition In Canada, iCAN 2018, at Toronto, Canada, organized by Toronto International Society of Innovation & Advanced Skills (TISIAS), Innovation Initiative Co-operative Inc. (ICO), International Federation of Inventors' Associations (IFIA), World Invention Intellectual Property Associations (WIIPA). August 27, 2018 -- we have donated our Q2'2018 profit to the West San Jose Youth Football Team, including Mighty Mites, Jr. Pee Wee, Pee Wee, Jr. Varsity and Varsity team, as a proud Platinum Sponsor. Alongside SJPAL's new concussion policy, we believe we can make football a more safe and fun sport. 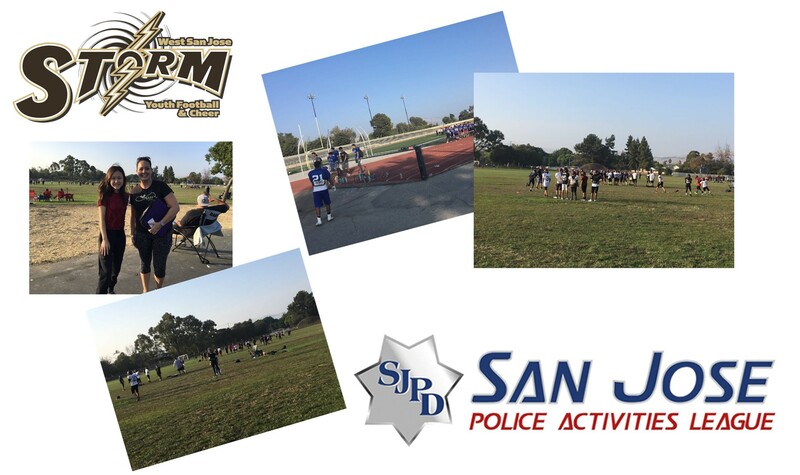 July 26, 2018 -- The 2018 youth football season started at San Jose. With the SJPAL (San Jose Police Activities League), we have established a concussion policy which requires coaches to take a CDC online course that will educate them about techniques to reduce the risk of potential concussions. The policy can be found here. Related concussion information sheets for coaches and parents can be found here and here. We presented at the 2018 Maker Faire. May 19, 2018 -- We are invited to speak at the 2018 Maker Faire. We kicked off Saturday's events with our presentation on concussion sensors at the "Make: Education" stage. 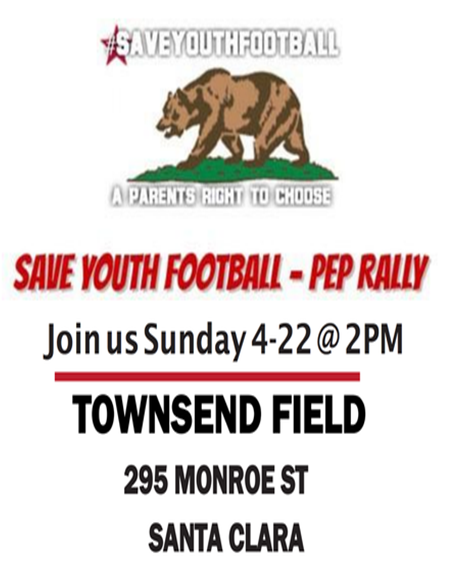 Apr 22, 2018 -- We joined many parents and young football player at the rally at Townsend Field to support parents’ right in choosing appropriate activities for their children, and the continued evolution of the sport. We believe we should not avoid the problem (such as concussion). Instead, we should face the problem and find a solution. 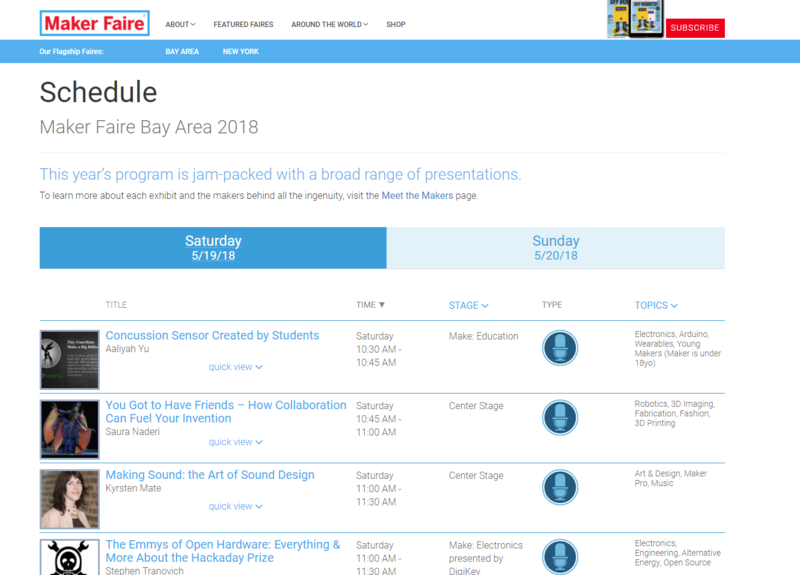 Mar 17, 2018; updated on Apr 14, 2018 -- we have been selected to present at Maker Faire Bay Area 2018, and we are invited as first speaker. Our Project number is 65387. Our invited talk is on Saturday, from 10:30 AM to 10:45 AM at the "Make: Education". Our booth location will be announced later. Can not wait to see you all there. 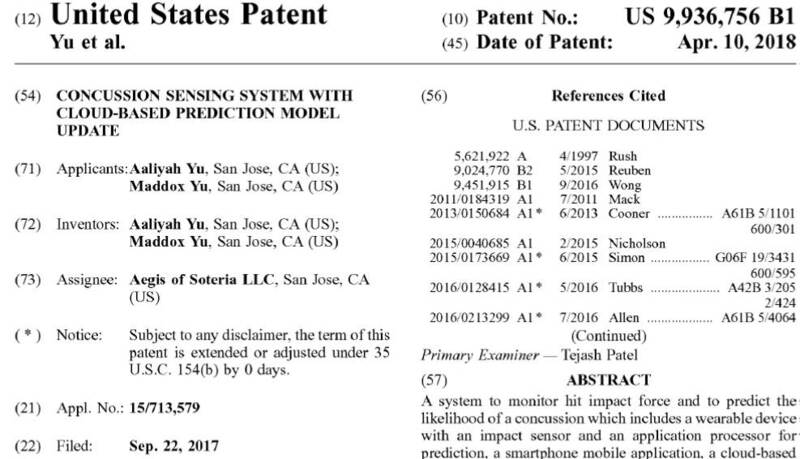 Feb 24, 2018; updated on Apr 10, 2018 -- Our US Patent Application, "CONCUSSION SENSING SYSTEM WITH CLOUD-BASED PREDICTION MODEL UPDATE" is approved, and now published as of April 10, 2018. Our US Patent number is 9,936,756 B1. 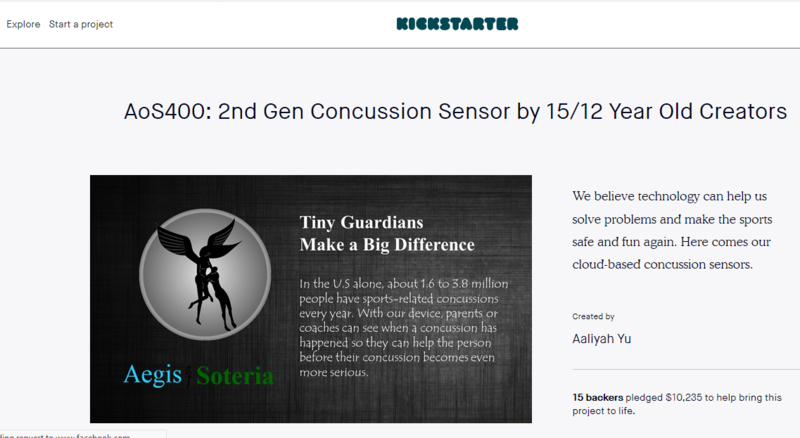 Feb 12, 2018 -- we started the Free Sensor Program, in which we will donate 1 sensor per month to an individual or 5 sensors per month to a football team. We encourage all teens and parents to consider how technology can be used to provide a safer environment for sports. To apply, please visit our Social Responsibility website. Feb 1, 2018 -- we successfully ran a kickstarter campaign and raised over $10K USD from multiple backers. Thanks all for the support. This is our product shipment timeline. 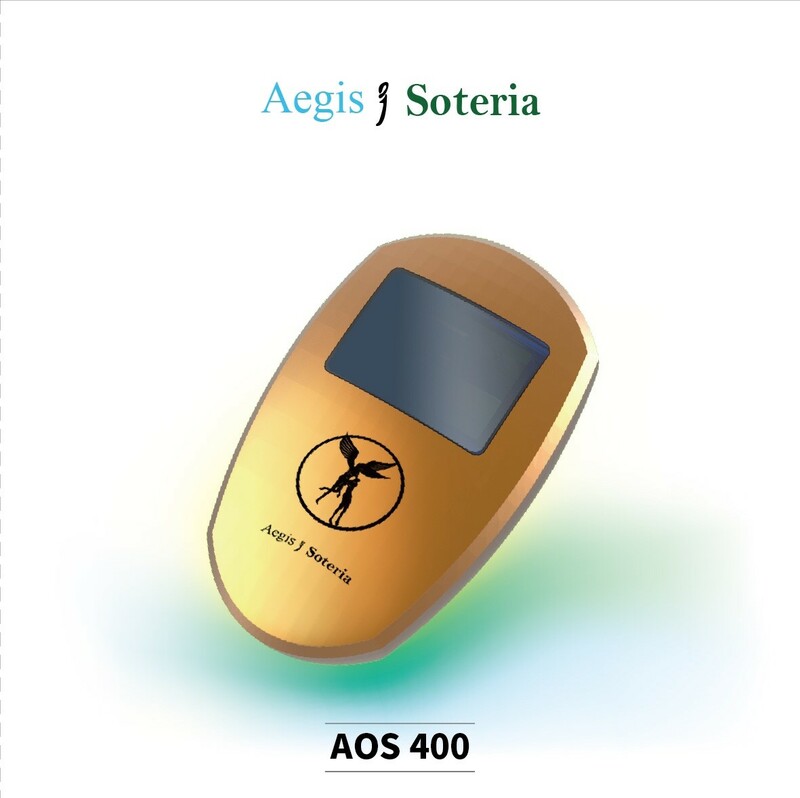 True to our Silicon Valley roots, Aegis of Soteria is co-funded by 2 young individuals who want to use technology to change the world. responsible for product design and overall business. responsible for hardware prototype and software coding. Helen is assisting AoS on product design and user experience. 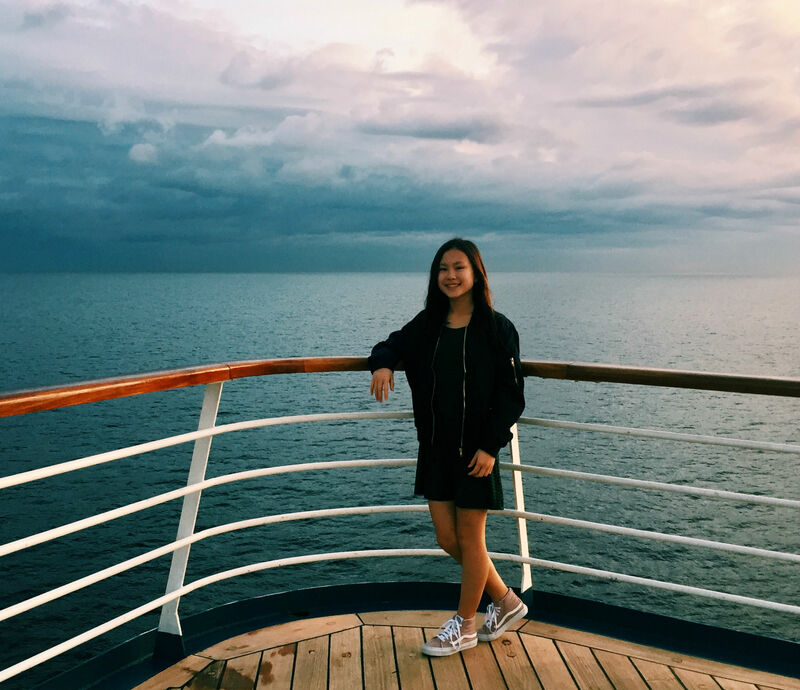 She has extensive experience in IoT and mobile application. She recently served as Interactive Designer & Usability Analyst at SONY, a time in which she released multiple products. Prior to SONY, she worked on design projects with Nokia, ESID Design, and other companies as designer and usability analyst. She holds a Ph.D. of Design Science from Engineering Department, Chiba University, Japan. We are in the process of obtaining a business advisor.